As soon as I knew we were having a girl, I suddenly fell in love with PINK. So I chose pink with touches of gold. 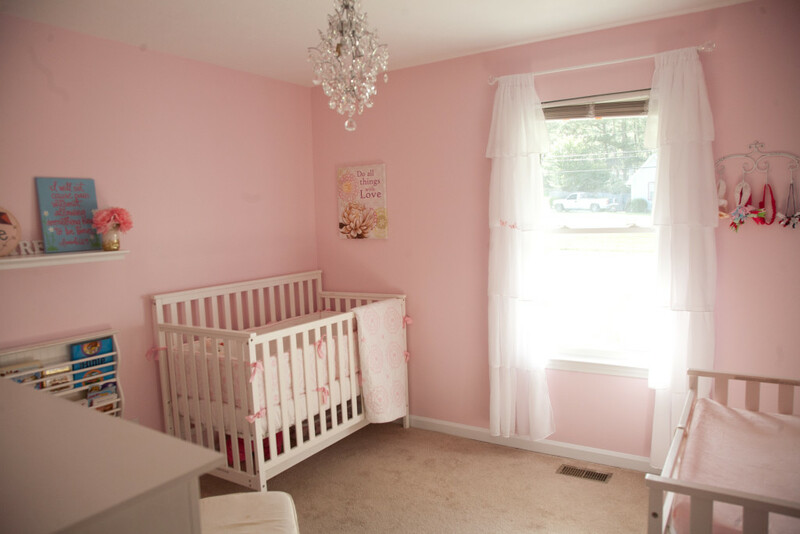 I wanted her room to be simple, and something that resembled Shabby Chic. Pinterest pretty much inspired me to go with pink and gold. But I have always loved "cottage" style. I wanted a room that would be very girly and cozy. "I will not cause pain without something new.." canvas. This was a gift at my shower from several of my close friends. Be simple, and just enjoy the experience!